Looking for great BBQ in Austin / Cedar Park? 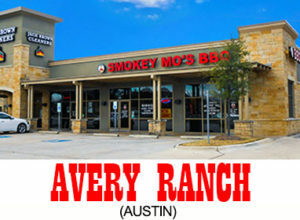 Drop by Smokey Mo’s Bar-B-Q at Avery Ranch. It’s a friendly atmosphere and of course mouth watering bbq available for dining in, carry out or even BBQ Catering! My friends call me “Cody”. Lucky I am to have been married to a wonderful woman whom we share 2 children and 2 grandchildren! Since 2009 I’ve worked here at Smokey Mo’s spent over 16 additional years with a Pizzeria & Italian restaurant. 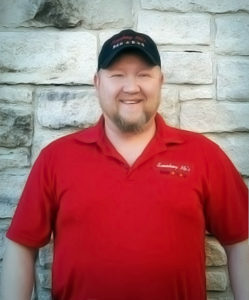 Starting out as a pizza driver and look at me now – a General Manager! To my customers…I feel that customer service is the most important aspect of this business and it’s also the most overlooked throughout the industry. It is vital that each and every guest feel as if they are the most important person in the room and our job is to make that happen every time! For fun…I love to listen to music, playing guitar and singing. I also enjoy getting outdoors and hiking, camping and exploring nature!